Would you like a mystery? Something old. Something new. Something borrowed. Something ... deadly. Vivian and Leo are back to solve a brand new mystery! During a couple’s tropical sunset nuptials, a beautiful bride is shot dead—right before she says“Ido.” When the groom is arrested for the shocking crime, he turns to his old friend, journalist Leo Bronson and Leo’s wife, Vivian, to help him prove his innocence. As Vivian and Leo search for the truth, they discover that sins committed long ago may have put the bride in the crosshairs of a killer desperate to make sure the past stays buried. The married journalists are experts at uncovering secrets, but exposing them could get them killed. A mind-blowing mystery that will have you on the edge of your seat until the shocking ending. When a co-worker she had a conflict with is found bludgeoned to death, Noelle is accused of the murder. With the safety of her family in jeopardy, Noelle is desperate to clear her name. 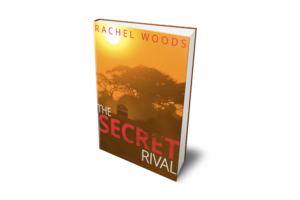 As she gets closer to the truth, she begins to suspect that the real murderer may be someone seeking revenge. But, does the brutal killer want to make Noelle pay for long-forgotten sins … or recent mistakes? A gripping mystery with twists you won't see coming! Forced to protect their new found love, Spencer & Sione must fight against the enemy they know and the one yet to be seen. Rachel Woods is a participant in the Amazon Services LLC Associates Program, an affiliate advertising program designed to provide a means for sites to earn advertising fees by linking to Amazon.com.